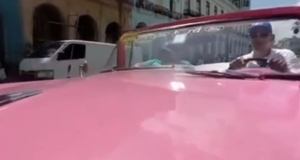 The Havana, Cuba turns into a 360 video just for a day with USA Today reporter, Alan Gomez. Gomez takes the opportunity to show people like myself what Cuba has to offer to its viewers and why they should actually incorporate Cuba into their plans one day. One of the cool things that I like about the 360 video that Gomez did is have the camera located on the front of the car. With the camera being placed on the front of the car you get advantage of not only seeing Gomez driving the vehicle but you get to see what he’s getting ready to encounter. From the article, Gomez mentions that they utilized one of the popular Cuban cars, that Cuba tends to maintain in their country and drive on a regular basis due to their culture. 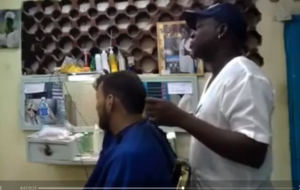 One of the things that connects the Cuban and American culture together is the things that they tend to do that Americans do too; which is haircuts. One of the clips from the 360 video you can see an individuals getting their haircut. Keeping a crispy cut is important to individuals of the Cuba country according to prior research. With this 360 video they used different variations of the Cuban culture that makes this VR significant to the country of Cuba. We, as the audience, was able to go down the history of Cuba by visiting different monuments that are located across Cuba. Along with that you get to feel the person gestures from Cuban’s in their natural habitat through a camera which is really important in my opinion. The characters featured in this 360 video is a variety of people ranging from different citizens of the Cuba community. Each character played a significant role in making this 360 video popular along with being successful. With the way this video was driven, I think it was VR appropriate. With the weaknesses of this video, I personally think the only thing that was a problem included the quality of the VR camera. Something that could’ve changed to make this video stronger is to make sure the camera quality was clearer and not too foggy. Other than that, everything was appropriate and good that made this a strong candidate for VR 360 videos. If we continue to promote camera placement and quality then soon there will be great videos all over.